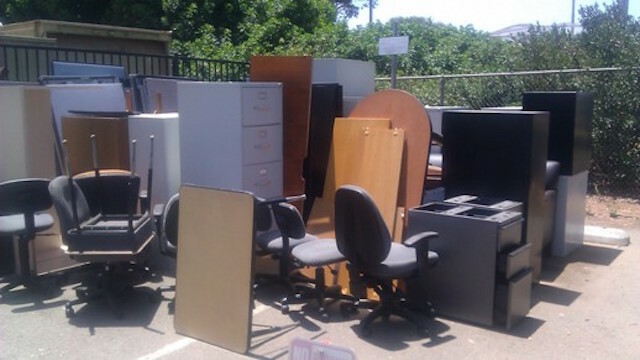 From $49 – $297, We have an office removal solutions to fit every need. 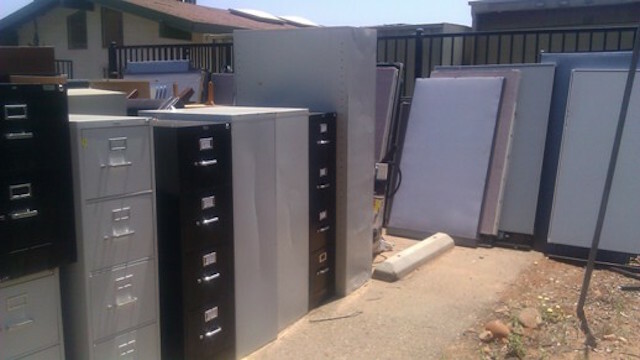 Our curbside office furniture removal prices are the best in San Diego and have made us the top choice for office furniture disposal since 2005. Book your office furniture haul away online today to lock in your low price and we’ll take care of the rest. 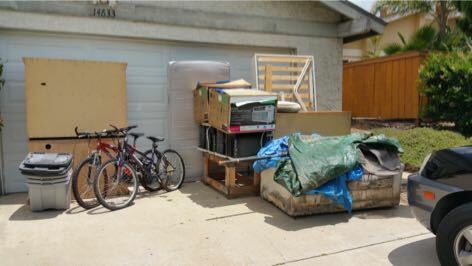 Curbside Furniture Removal – we’ll haul away your trash from a drive up location such as the driveway, alley or garage. 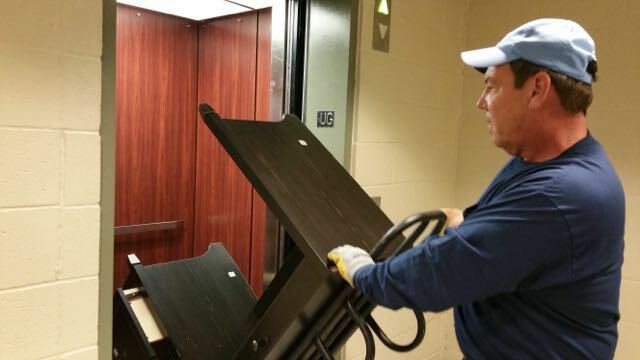 Full Service Furniture Removal – Let us do all the lifting and loading, we will remove your trash from indoors, upstairs or back yard. Office furniture is a specialty removal request, all jobs are different due to the labor involved and the weight of office furniture. 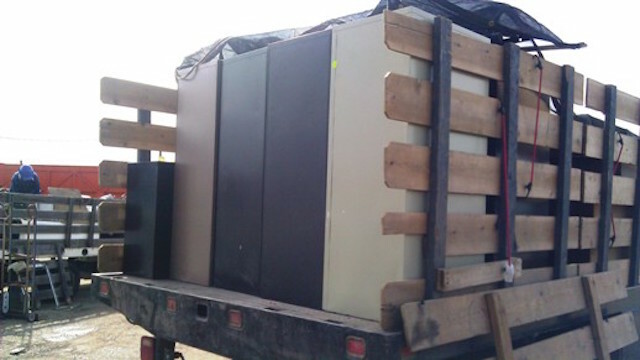 Office furniture is usually hauled away by the truck load and at times we must perform on-site estimates to provide an accurate fee quote. Due to this there is no online booking allowed for office furniture removals. 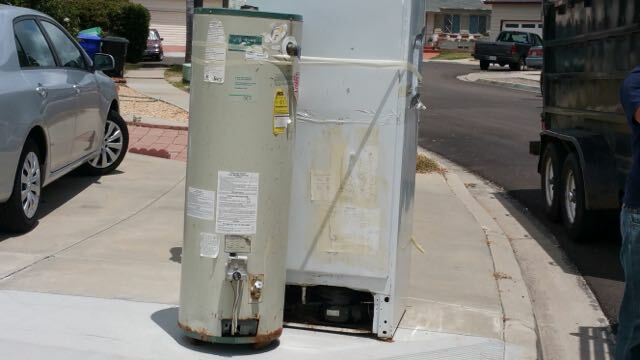 Please contact us if you need a quote. 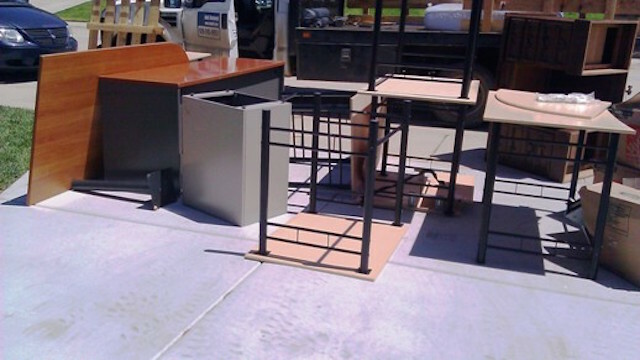 Here are several examples of office furniture haul aways we have done in San Diego. 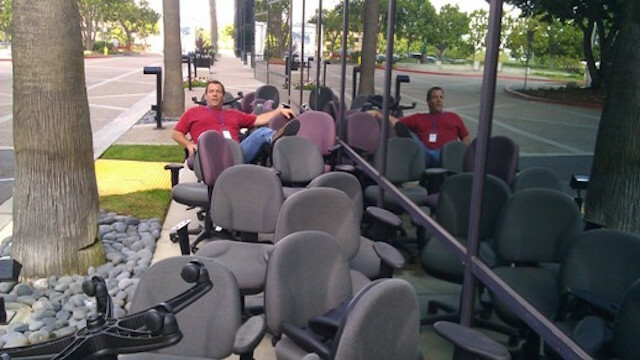 We hauled away this 2/3 truck load of office chairs in Mission Valley for only $249, there were 20 chairs total so that equaled less than $25 per chair. 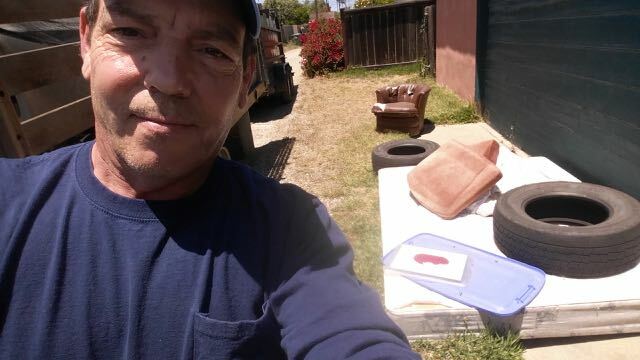 We recycled every chair!